I live in an area of town that is predominantly occupied with retirees. Yep, they know all my coming's and going's and what I wear and who I go on dates with. What else is there to do when you are retired besides spy on your young neighbors? So, it really was no shock to me when the latest community newsletter arrived at my door. 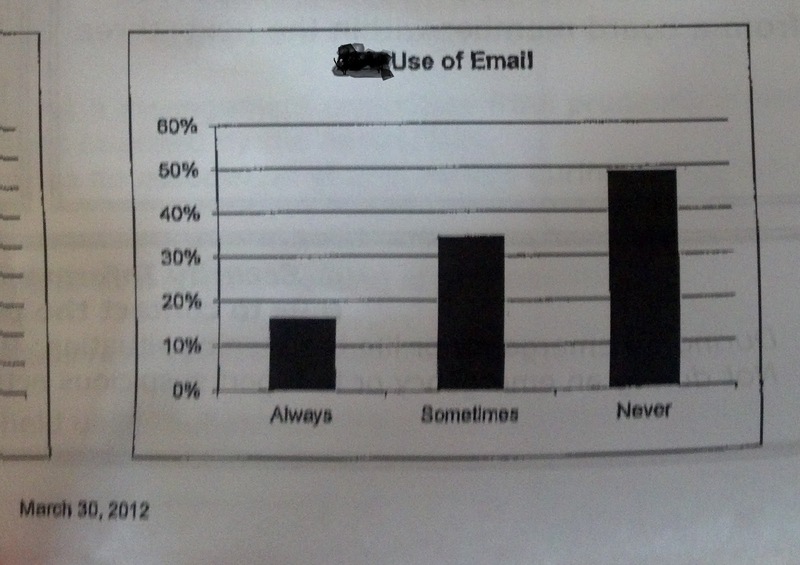 The HOA published, in paper, the results of a survey they took when considering implementing an e-newsletter. 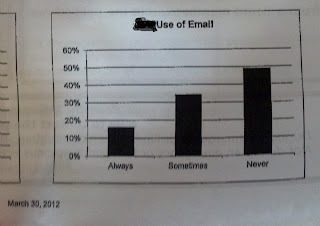 Looks like almost 50% of my neighbors never use e-mail and 85% either sometimes or never use e-mail. Can you imagine? I found this little golden nugget and had to share to help give you all a better understanding of the seriousness of the situation when I talk about where I live. Too funny.